Raised from his teenage years in the Mets organization, Jeurys Familia has long professed his love for the city and the team. He now has plenty of time to grow reacquainted. To fortify their bullpen, the Mets reacquired one of their own late Wednesday night, signing Familia to a three-year contract worth $30 million. Multiple sources reported the deal, which is pending a physical. The Mets have not confirmed. In Familia, the Mets have a potentially dynamic setup man to pair with Edwin Diaz, their newly acquired closer. The Mets' primary ninth-inning option from 2015-18, Familia set the Mets' single-season saves record with 51 in 2016, also earning a trip to the All-Star Game. But Familia's time in New York was not without its warts; he blew three saves in four World Series appearances in 2015, and he was suspended 15 games for violating Major League Baseball's joint domestic violence, sexual assault and child abuse policy in 2017. 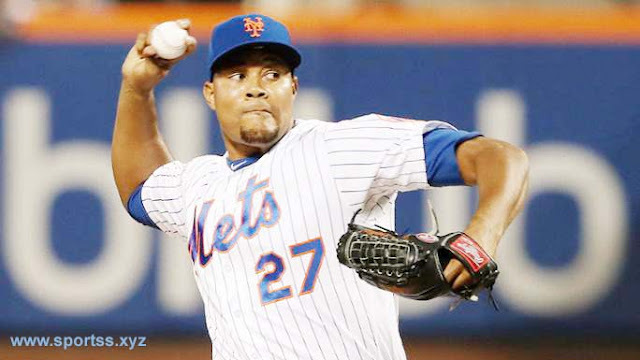 Now 29 years old, Familia is primed become a cog of the Mets' bullpen once more. He, Diaz, Seth Lugo and Robert Gsellman are locks for the 2019 bullpen, and the Mets are still searching for a left-handed option to complement them. They have shown interest in free agent Andrew Miller, whom manager Mickey Callaway coached in Cleveland, though plenty of cheaper options also exist on the market. Earlier this month, the Mets received Diaz and Robinson Cano in a seven-player deal with the Mariners. No matter whom else they acquire, the Mets will flesh out their bullpen with some combination of youngsters, including Tyler Bashlor, Eric Hanhold, Tim Peterson, Paul Sewald, Drew Smith, Bobby Wahl and Daniel Zamora. Their hope is to transform a bullpen that ranked 28th in MLB last season with a 4.96 ERA. Since 2015, Familia ranks sixth in MLB with 118 saves, though Callaway left little doubt this week as to his intentions for the ninth inning.